In my other articles I speak a lot about the importance of getting good quality sleep and this is even more true in the case of soon to be mothers as they are living and breathing for 2 people and it is crucial for both the mother and the little baby to get as good a sleep as possible. In this article I give advice and tips for quality sleep and also make a review of Leachco Snoogle Total Body Pillow, which is really worth checking out for all future mothers. Some pregnant women suffer from lower back pain. A good solution for this is to tuck your pillow between your legs (knees) which will give support for the lower back and allow for a very comfortable and pleasant side sleeping position. Those who suffer from heartburn can try to find relief by elevating their head slightly higher than the rest of the body. 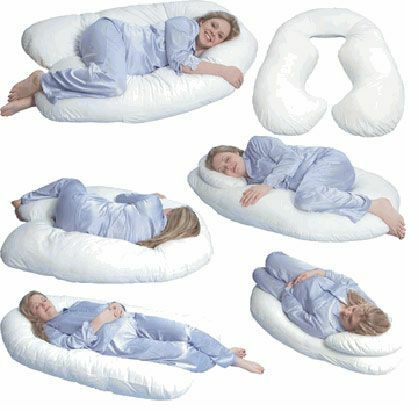 You can do this either using a pillow or elevating the actual mattress or the bed itself. For the mattress you can place something (for example some cloths or bed sheets you rarely use) just below the top part under the mattress. Be disciplined about the time when you go to sleep because this generates a habit which makes it easier for you to sleep well every day. On the opposite side if you go to bed at different times all the time you are disrupting your natural body clock. This body pillow really surprised me when I first saw it and started doing research about it. It has a gigantic amount of reviews written by buyers on Amazon. 659 people wrote reviews when most other products struggle to have even 20 reviews. 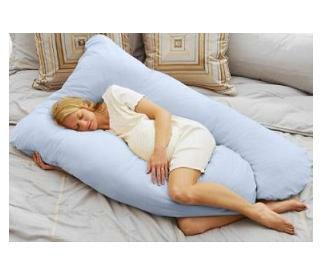 Naturally there are also negative comments for Leachco Snoogle Total Body Pillow. For example I found those who said that the pillow was too firm for them or that it was cumbersome, which are all valid points and I suppose a pillow is something that it can not please absolutely everyone, but what reassures me in the positive direction is the numbers. Only 26 out of 659 people rates this pillow 1 star, which makes it 4% of all the buyers compared to the 364 who rated it 5 star which is 55% of the buyers. So from that I could conclude that while 4% of the people did not enjoy the pillow the vast majority of the people who purchased it found it very nice for their pregnancy and sleep quality (4 and 5 stars together make 83% of all the people). I also did some research in the forums and found a partly funny discussion about the pillow. One lady who was having a hip and back pain was asking advice about what type of pillow she should get and one of the replies was favoring the Leachco Snoogle Total Body Pillow saying “and LOVED it!” and adding that her husband thought that this pillow is anti social because she was so nicely and comfortably wrapped in it that he was unable to get some quality snuggling time 🙂 Another lady also added that “it is a blessing to have! even though it is expensive”, but $45 I didn’t find to be so expensive for this. 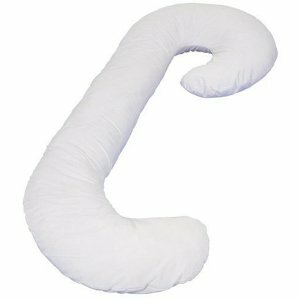 I hope the various sleep well advice was helpful to you as well as the REVIEW of Leachco Snoogle Total Body Pillow. 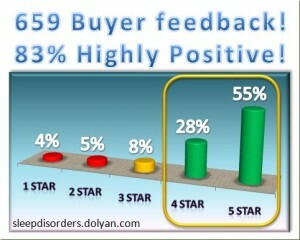 Feel free to go to Amazon and check it out yourself and read more of the reviews from the buyers.